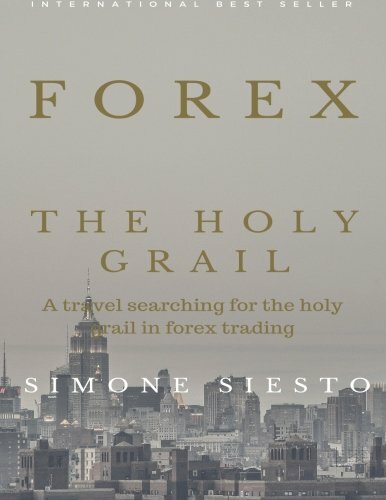 The quest for the Holy Grail in Forex is a metaphorical journey in financial analysis applied to the currencies’ market. Much like the Templar knights sought the Holy Grail over the centuries, the author guides the trader along dark path, in a quest for the golden rules that underpin profit in the currency trading. Some of the main tools in classic financial analysis are here analyzed in depth, clarifying which of them actually work in the current markets, and reaching the conclusion that common technical indicators alone are not enough to take a trader to the Holy Grail of financial success. To help the reader develop a firm grasp on currency trading analyses and be consistently profitable over time, the author will explore how to understand the moves of the big players and how to follow them. The author suggests 15 golden rules that can be used as a guide in the arduous search for the Holy Grail in forex. A new approach to the financial analysis. A quest for truths hidden to most; a different approach to the classic technical analysis. Reading and mastering the contents of this book, a knowledgeable trader will learn not to rely on now obsolete technical analysis indicators or to lean on the advice of the most diverse experts, but to adopt a holistic approach, and become able to assess what really moves the markets, how the balance of powers between the currencies works and fluctuates at any given moment. Ad Maiora.